Whether that makes for interesting / lasting (ie. memorable) / good, (post)photographic outcomes is up to you to decide. 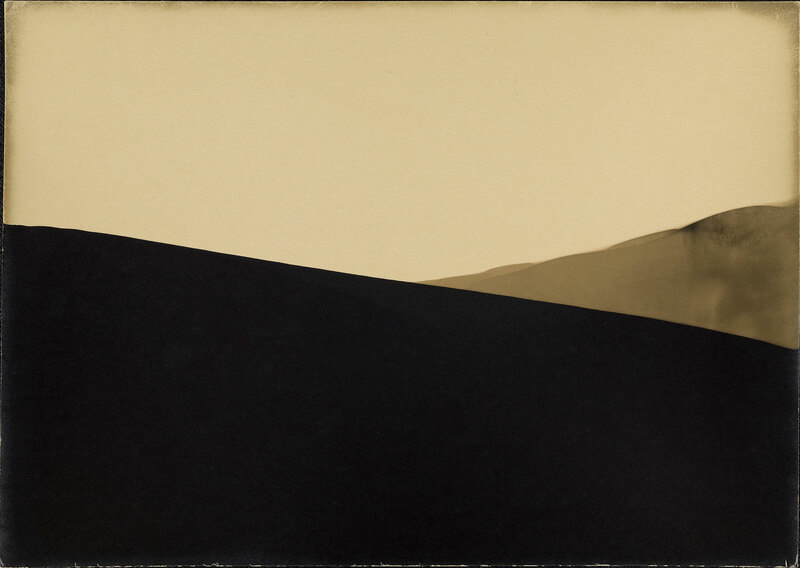 “From its very beginnings in the 19th century, photography has been shaped by the desire of the artist to continually explore and expand its possibilities through experimentation. 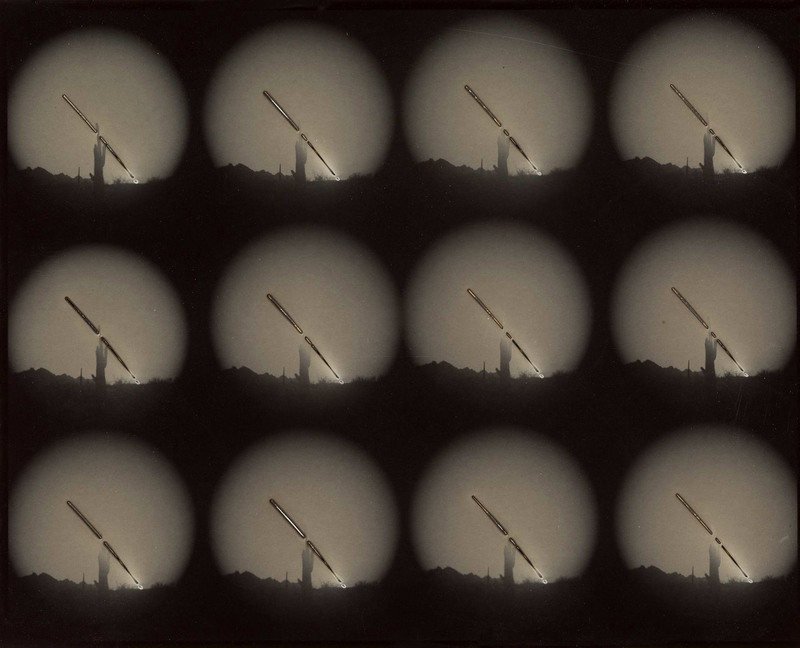 Taking that spirit of invention and discovery as a point of departure, some artists today have chosen to distill photography to its most essential components of light-sensitivity and the chemical processing of photographic papers, challenging viewers to see the medium anew. 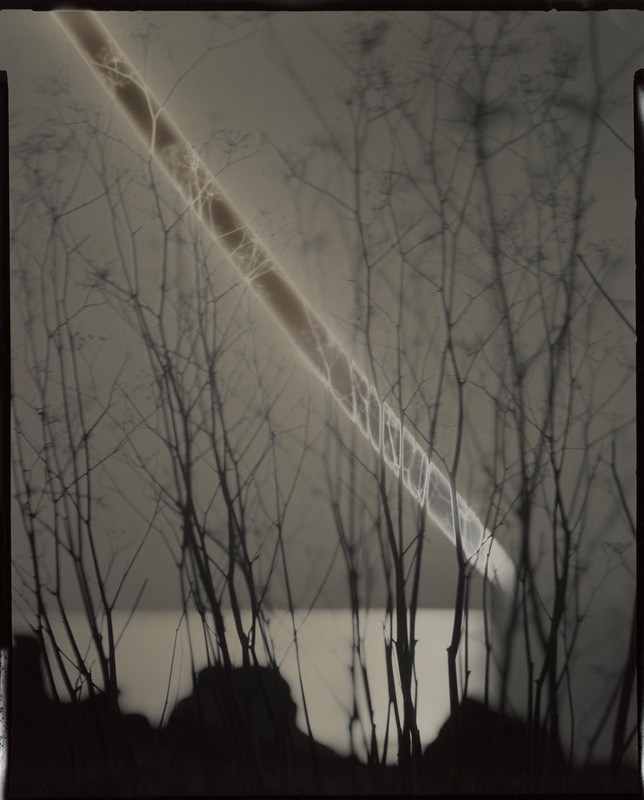 Light, Paper, Process: Reinventing Photography, on view at the Getty Center April 14-September 6, 2015, features the work of seven contemporary artists – Alison Rossiter, Marco Breuer, James Welling, Lisa Oppenheim, Chris McCaw, John Chiara, and Matthew Brandt – all of whom have created inventive photographs that reveal aspects of their making (or unmaking). 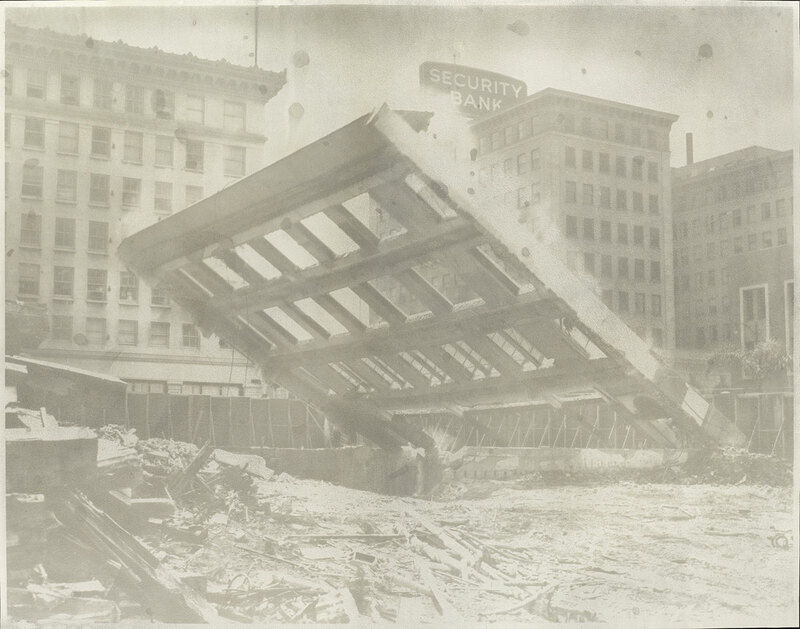 The artists in the exhibition utilize an extensive array of practices – often achieved through trial and error, accident, or chance – that shift the understanding of photography from a medium that accurately records the world to one that revels in its materiality. 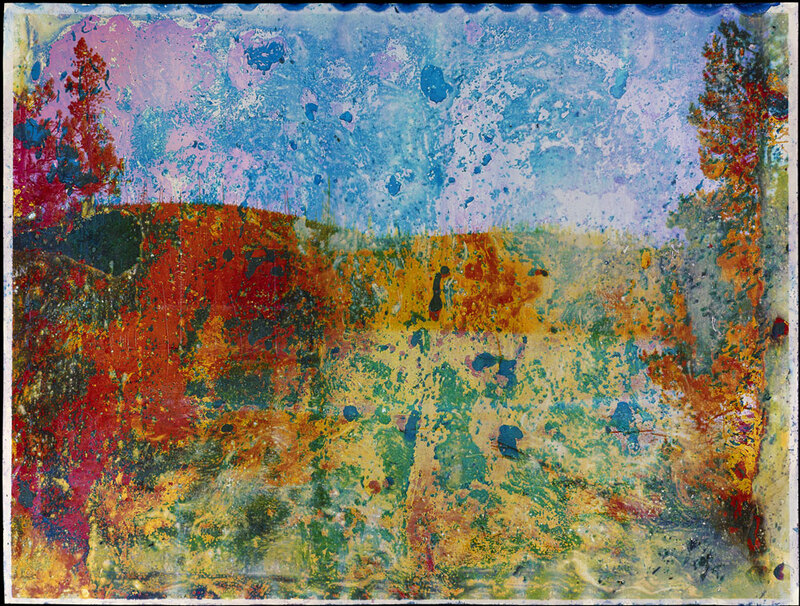 Whether they use handmade cameras or none at all, work with expired papers or toxic chemicals, the images remain latent until processed, fixed, or otherwise coaxed from the paper. The exhibition begins with an overview of 20th-century practices that were experimental in nature, featuring works by Man Ray, László Moholy-Nagy, Nathan Lerner, Edmund Teske, and others. 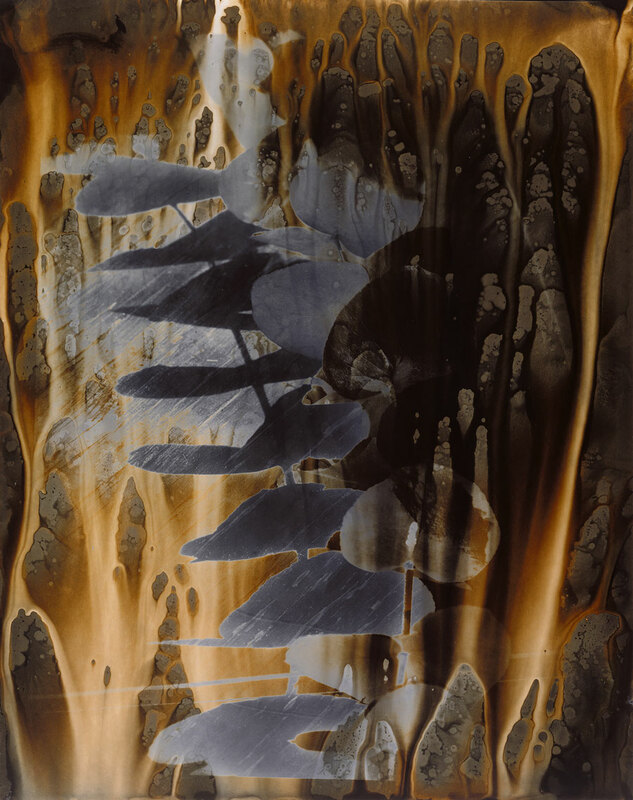 The renewed interest of artists of this period in techniques such as camera-less photograms, chemigrams, and solarization serves as inspiration for today’s artists. 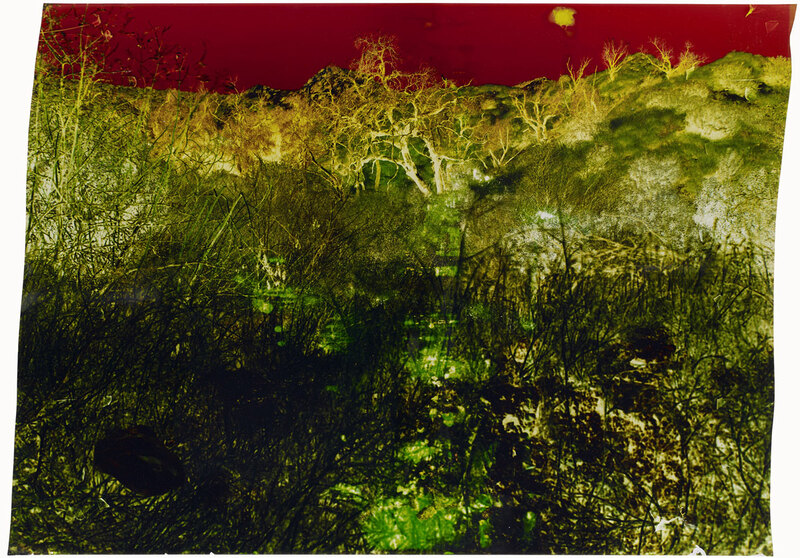 Each of the subsequent galleries in the Getty Museum’s Center for Photographs will be dedicated to the work of one of the seven featured contemporary artists, and follows a progression from abstract, camera-less works to representative images made with custom-built cameras. 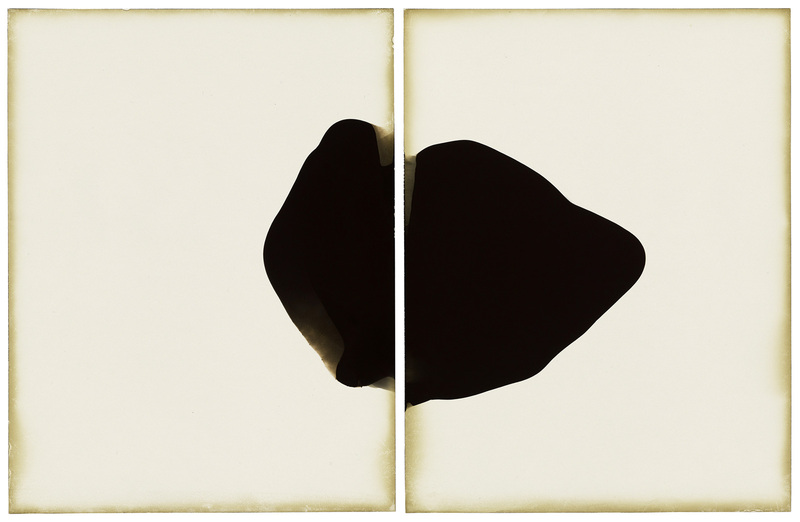 Alison Rossiter (American, born 1953) takes a minimalist approach to the materials she uses to create her photographic works. 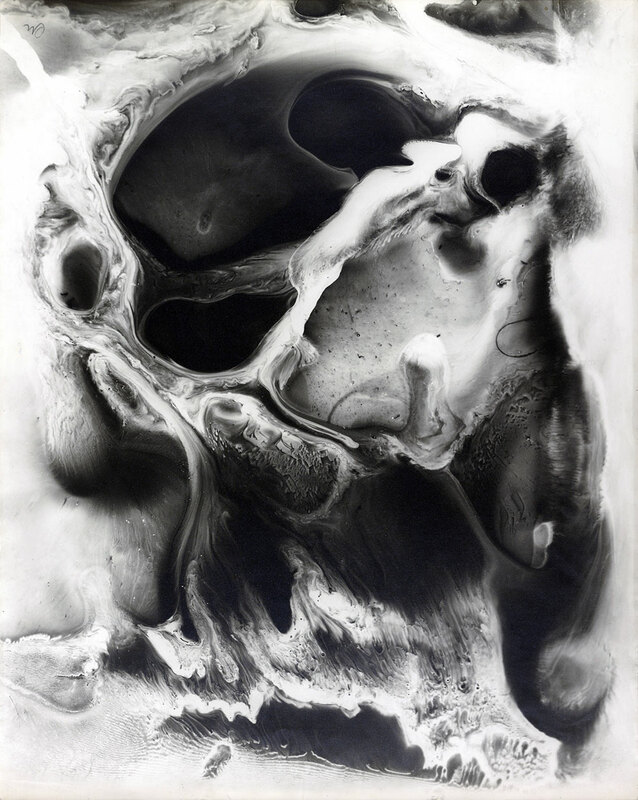 She does not use a camera, film, or light, but instead only uses unprocessed sheets of expired gelatin silver paper and photographic chemicals in the darkroom. 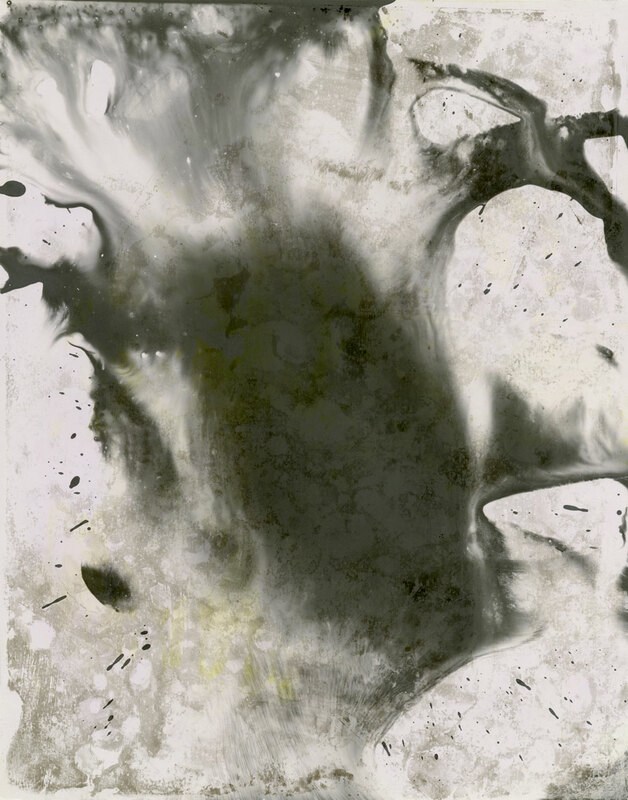 Through the simple acts of immersing or dipping a sheet of paper in developer or pouring and pooling developer onto the paper’s surface, she achieves a rich array or results. 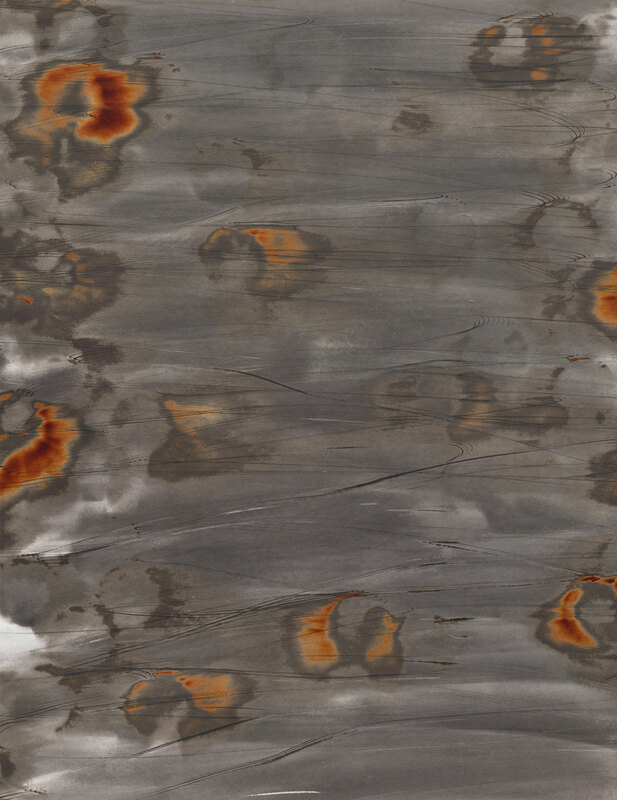 Some suggest faint impressions of primitive mark-making, others resemble landscapes, and still others call to mind abstract painting of the mid-20th-century. 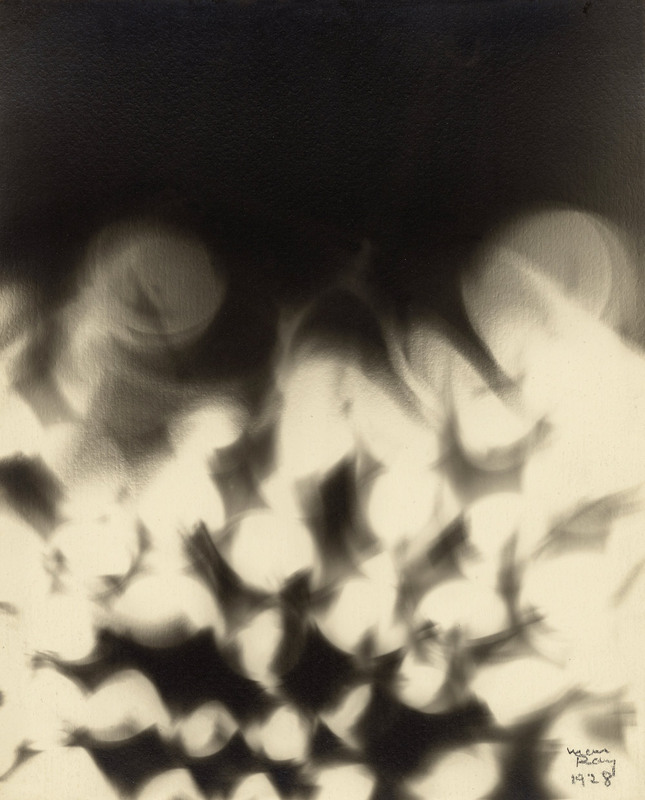 Working since the early 1990s without a camera or film, Marco Breuer (German, born 1966) subjects light-sensitive paper to various acts that abrade, burn, or scrape away the emulsion layer. 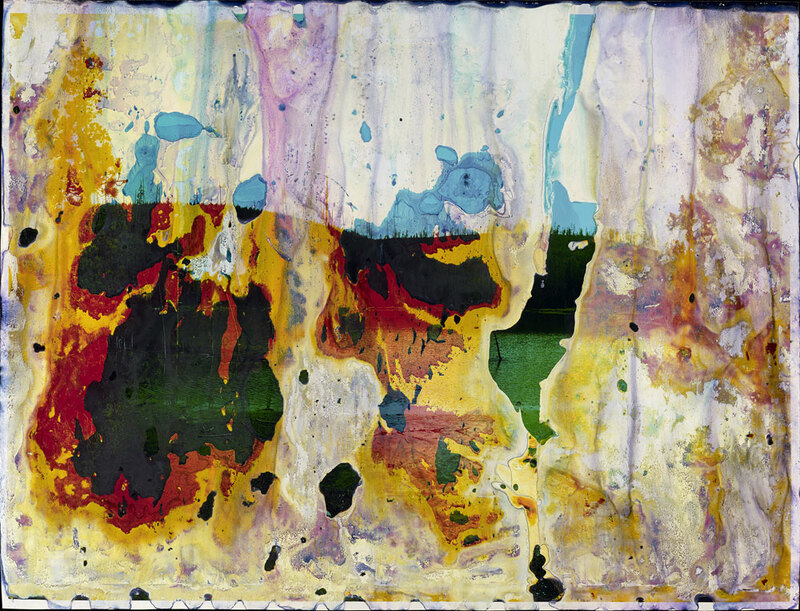 Completely nonrepresentational, his “photographs” look like no others; they elicit the hues and textures of rare metals, mineral deposits, or oil spills, and display marks ranging from fine incisions and abrasions to scar-like burns and gashes. 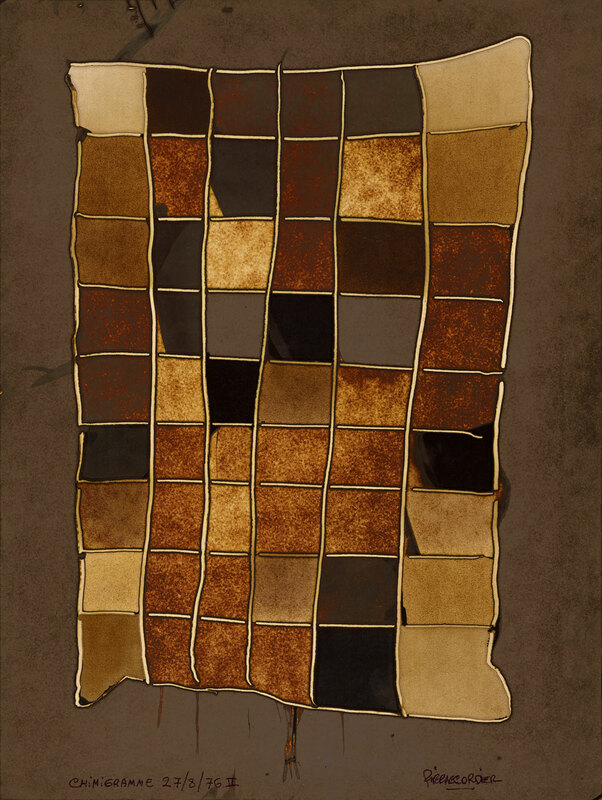 His deliberate misuse of black-and-white and photographic papers is the starting point for a negotiation between the paper as recording material, the hand, and the tools employed. 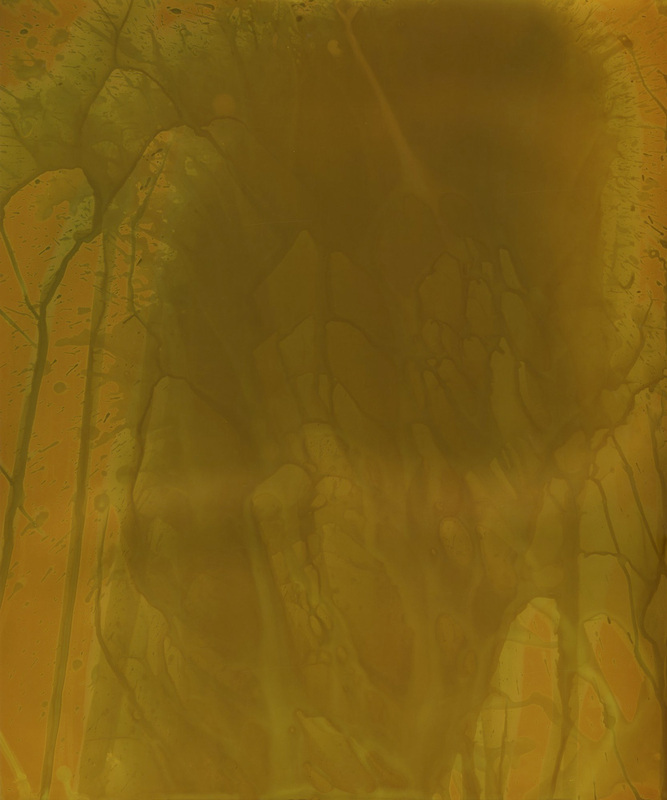 James Welling (American, born 1951) spent the first ten years of his career exploring painting, sculpture, performance art, video art, conceptual art, and installation before he committed to thinking of himself as a photographer. 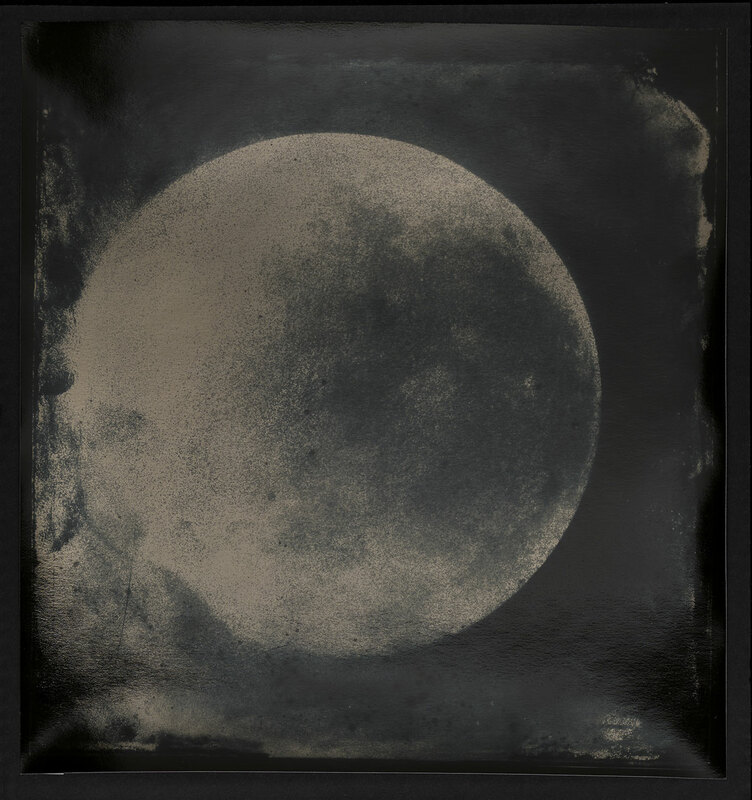 For the past four decades, he has explored photography, from documentary to experimental, with and without a camera, using black-and-white, color, and Polaroid films and papers, as well as digital files and printing. Since 1995 he has worked increasingly with color, filters, and camera-less photography. 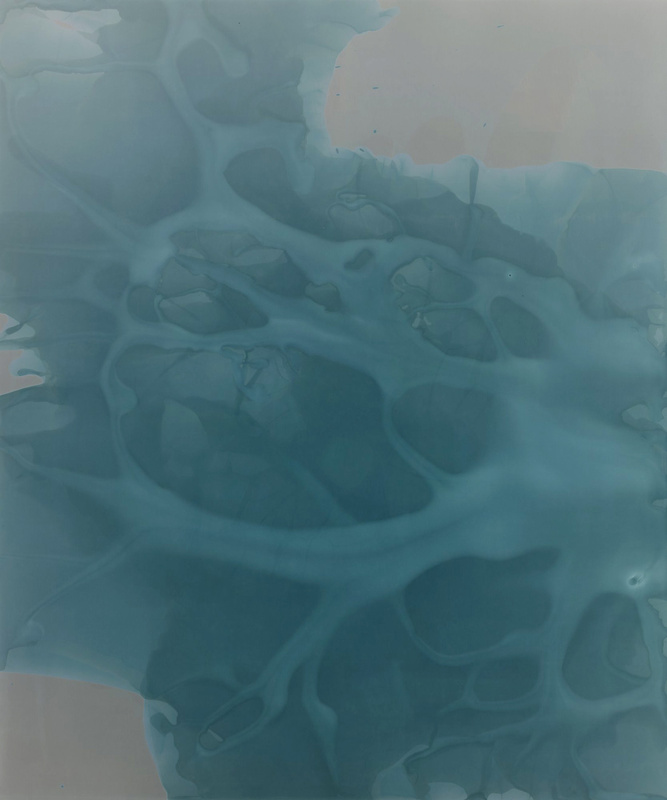 Three bodies of recent work presented in the exhibition include variations on the photogram, chemigram, and printing-out process. 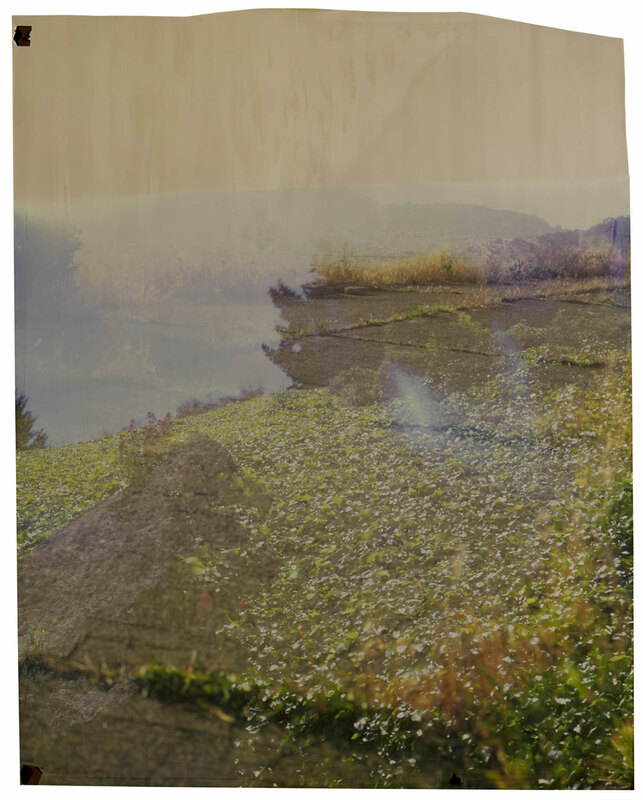 Influenced by her background in structural/materialist filmmaking, Lisa Oppenheim (American, born 1975) is interested in exploring the ways in which a photograph can record both its subject and the process by which it was made. 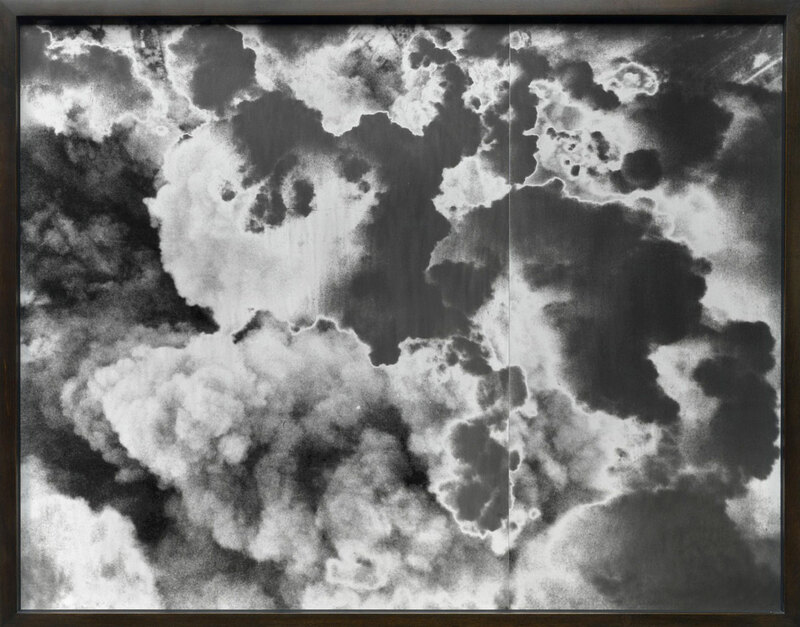 In three bodies of work dating from 2010 to present, she enlists the very entities depicted in the negatives – the sun, the moon, and smoke/fire – in the act of exposing them. 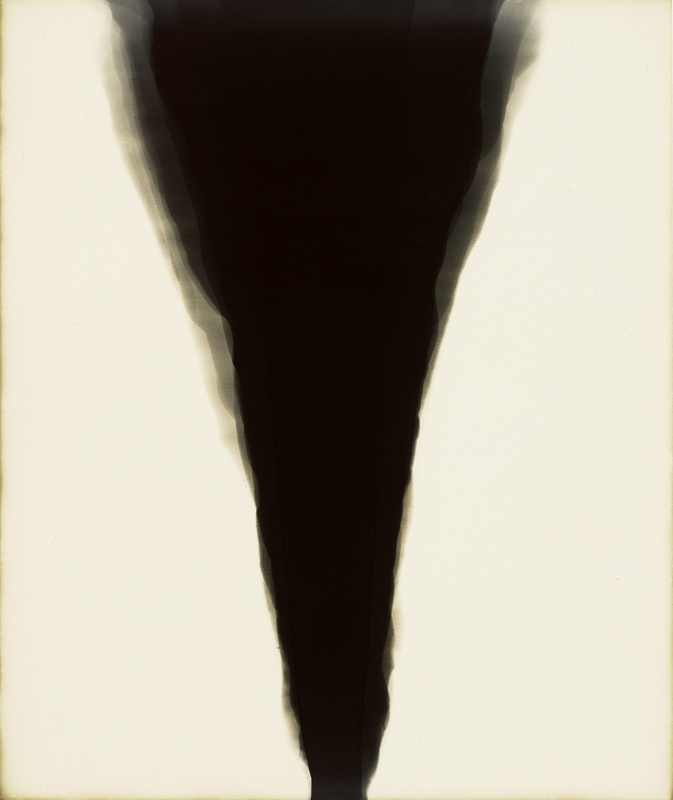 Although they sound scientific, the titles of two of these bodies of work, Heliograms and Lunagrams, are made up, combining the name of the camera-less photogram technique and the source of light by which the enlarged negatives have been contact-printed. 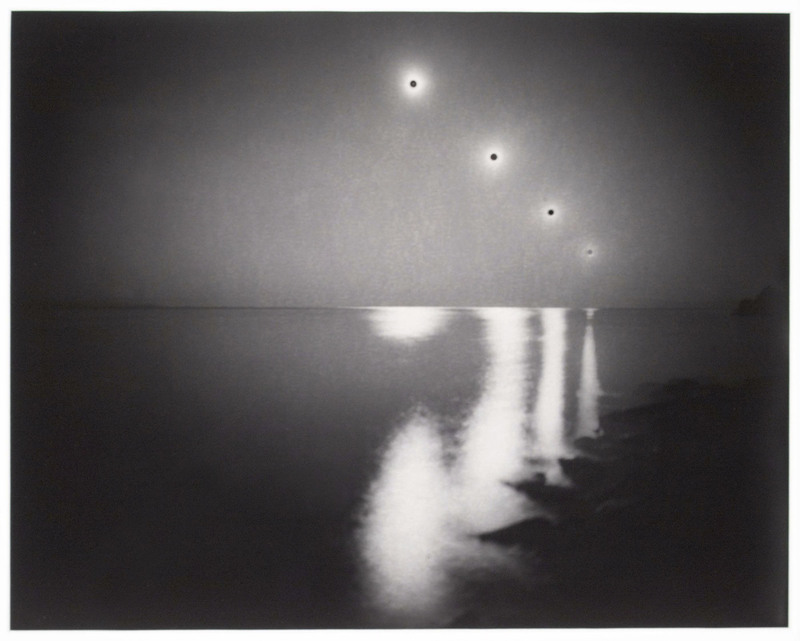 Chris McCaw (American, born 1971) establishes an immediate, visceral relationship between his subject, the sun, and his process, which involves loading photographic paper directly into the camera. 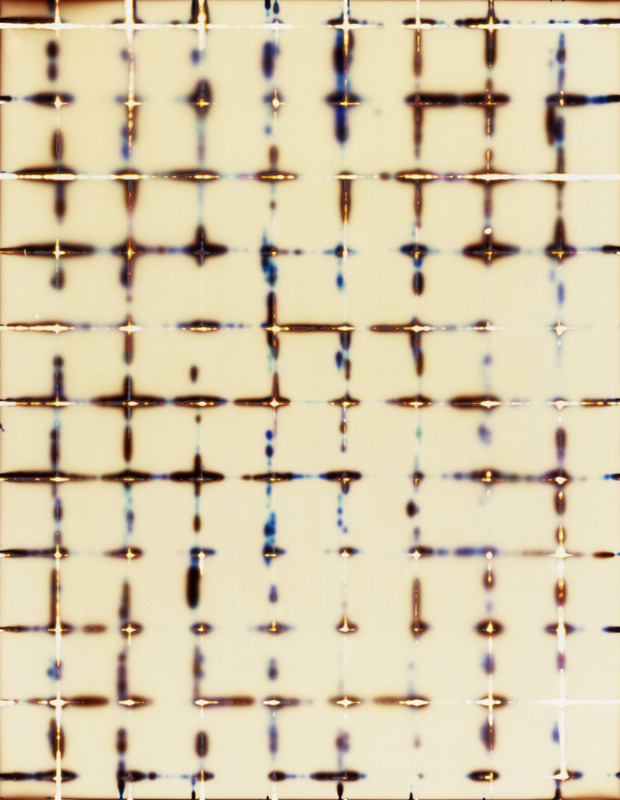 The photographs in his Sunburn series record the sun’s movement, which literally sears its path into the paper in the form of dots, lines, or arcs, depending on its position, the weather conditions, and the length of the exposure(s). 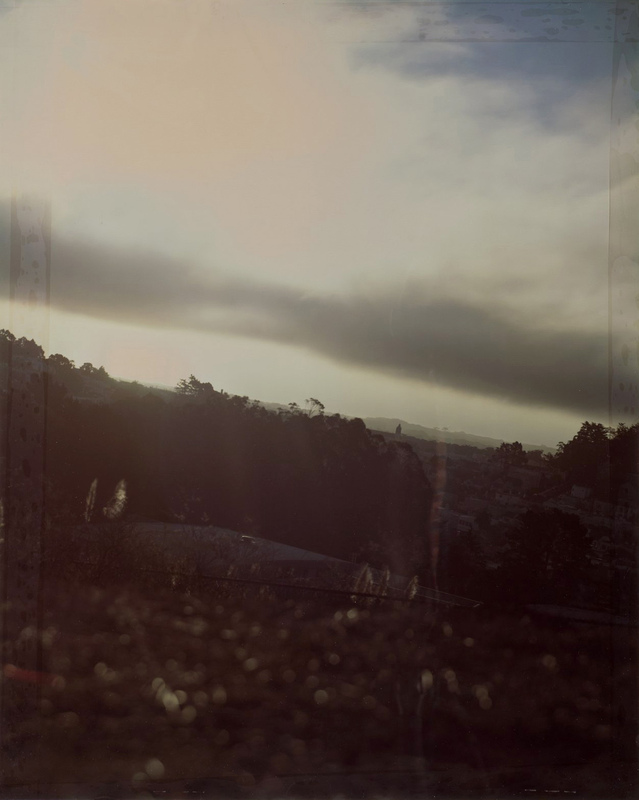 McCaw uses customized cameras outfitted with vintage military lenses pointed directly at the sun to function like a magnifying glass that burns through the emulsion layer and paper base, leaving behind singe marks and solarized passages. John Chiara’s (American, born 1971) large-scale color prints convey a hands-on – rather than pristine, mechanized – aesthetic. For the past decade his subjects have been both uninhabited landscapes and the built environment. 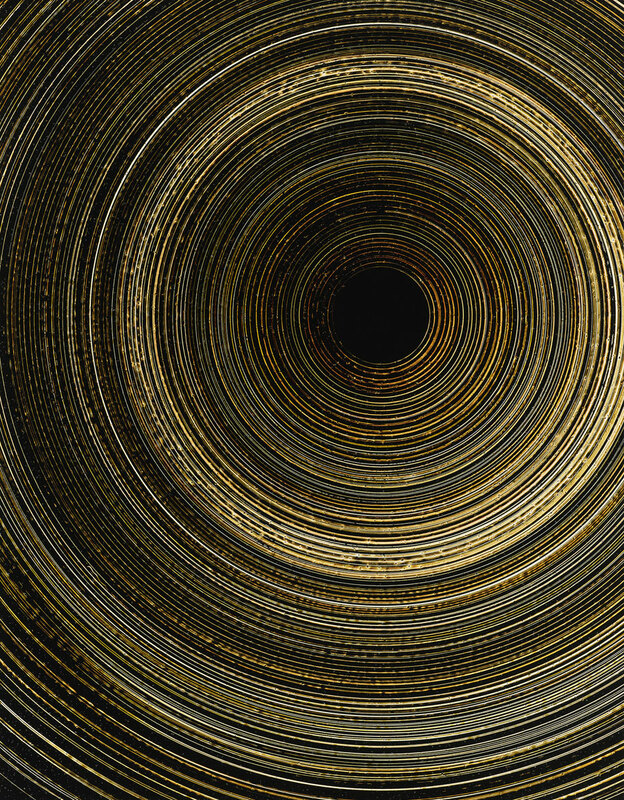 He works with large custom-built cameras that he loads with color photographic paper that he then processes himself by pouring chemicals into a six-foot-long section of PVC sewer pipe, sealing the tube, and then rolling it back and forth on the floor. 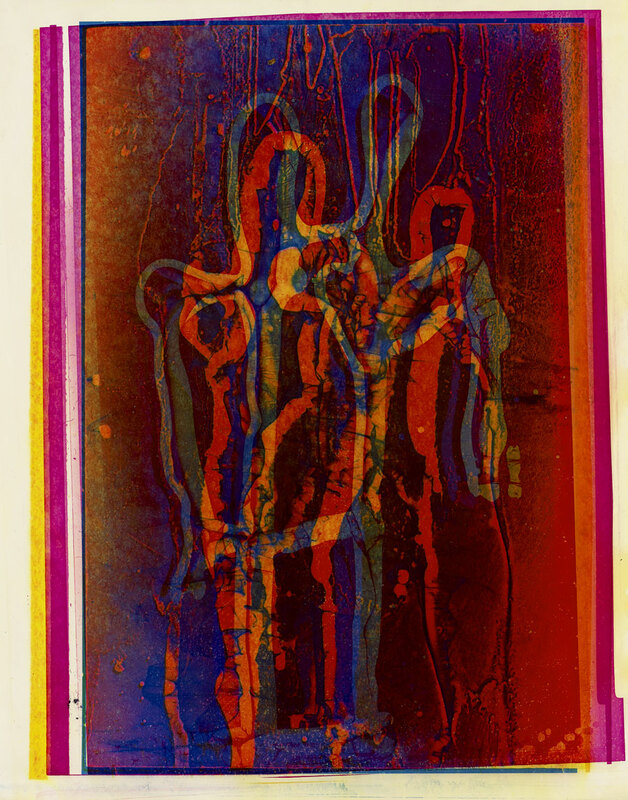 Irregular streaks and drips characterize his prints, as do areas of overexposure and underexposure, flare from light leaks, and unevenly saturated colors. 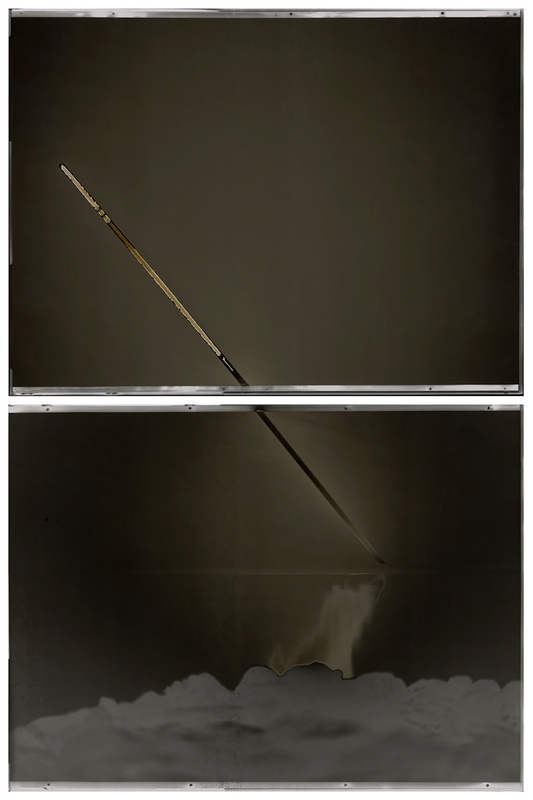 Matthew Brandt (American, born 1982) has created diverse bodies of work, some of which are realized with photographic means and others that are more tangentially related to photographic images, techniques, or ideas. He may begin with a photograph that he has made with a 4 x 5-inch view camera, a digital camera, or his iPhone, one that he has sourced from archives in public libraries, or one that he has clicked and dragged from Ebay. 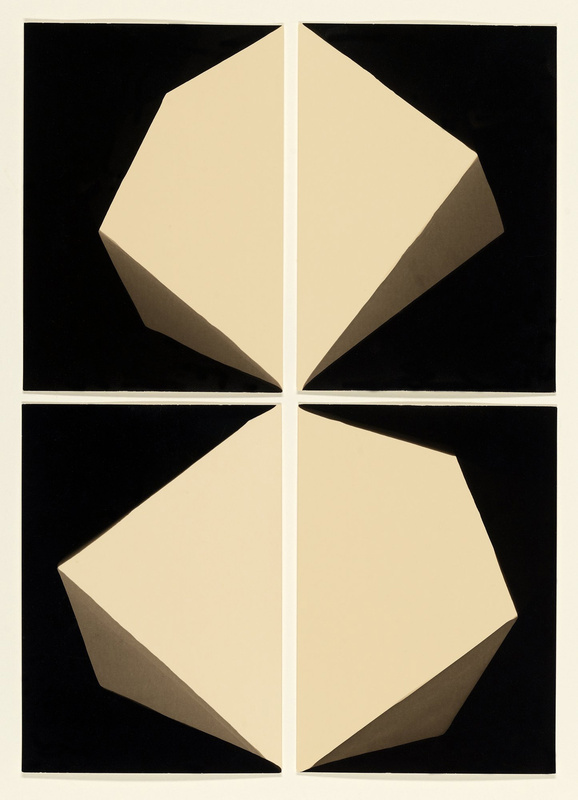 His fascination with early photographic processes has led him to experiment with salted paper prints, gum bichromate prints, and heliographs, examples of which will be on view. 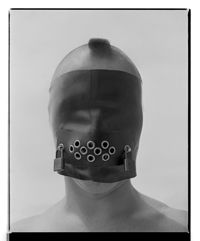 Brandt’s interest in both photographic/visual and the physical/material forms of representation has led him to bring the two together, incorporating physical elements from his subjects into his photographic representations of them.